Theory being - none of these criteria alone are enough to tell me what I need, but put together? It's more than enough. The ultimate goal with all of this is to create a solid database of MLS players above and beyond having to research a dozen different locations and pull it together on a player by player basis. Most of my career has been in manufacturing and distribution ops management. I think of these things. If I wanted to know about my inventory, how much it costs or raw material information (size, weight, yield, supplier, etc), I didn't want to have to check a dozen different locations to find it. Think; What ERP's like Oracle and SAP should be. It's the same thing here. 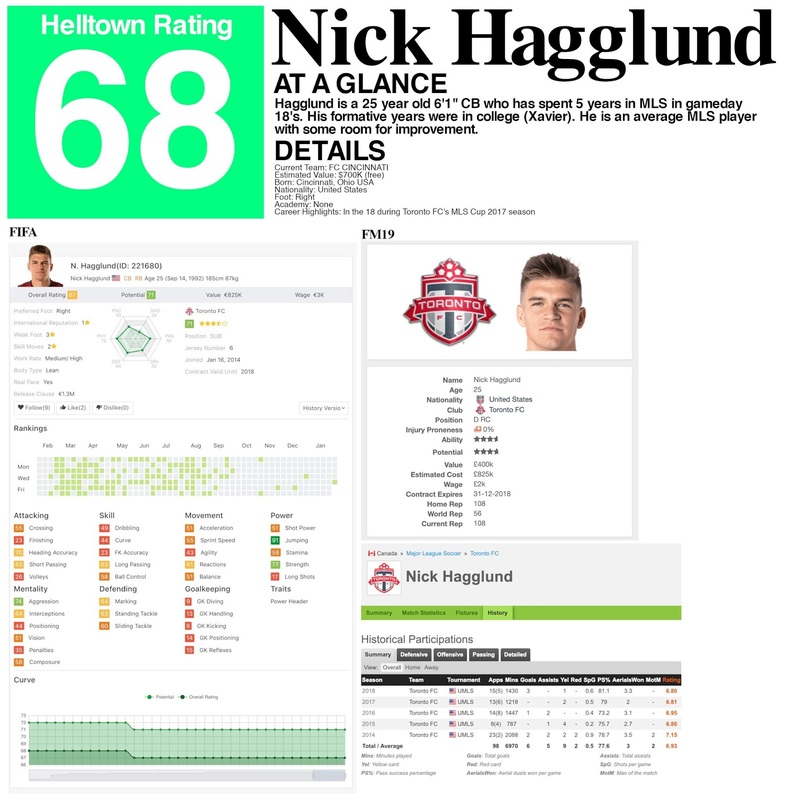 If I want to know about Nick Hagglund, I just want to be able to search his name and get something like this Figure 1, N. Hagglund. That's a lot of info, but info is needed on a player. Having data available saves an incredible amount of time when you are trying to find out the basics of a player and lets the manager or scout make the determination if they need to dig in further. Next level(s) would be if the player was over/underperforming current contract and player rating. Even beyond that would be if they were a buy or sell based on current roster needs. "Money League" teams (a Deloitte term) have incredible amounts of resources available to them. Scouts, player evaluation software, access to player profile databases and the like. Jump outside of those top clubs, or even the top 100, and you'll find that gaining access to information is time-consuming and unreliable. Meaning: difficult to put together. For me, this is where you get what I call Frankenstien Rosters. Players from all over the world, crammed together on a starting XI that never has a chance in hell. Why were they jammed on a team? Because most of the players these teams bring in have a defined pro resume. I see this often after spending nearly a decade following MLS. I also see it in the English Premier League with teams battling it out at the bottom of the table, or recently regulated and fighting (and failing) to get back up. Teams live in absolute fear of playing unproven players. It does make sense if you think about it. 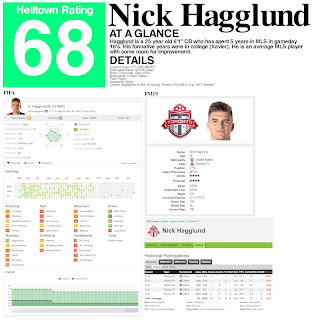 Would you rather have a player like Nick Hagglund, who has a 5-year pro resume, as a stop-gap in your back line? Or an unproven player like 20-year-old Auston Trusty stepping up. This fear is something teams can get over, given the proper amount of information. Even general information. Bring everything together, as best you can, in one place. If they check off enough boxes, give them a closer look. Critical thinking for most teams in MLS that seems to be missed. Please don't hesitate to contact me at lwjohnson654@yahoo.com if you want more info.